This beautiful girl came from an abuse/neglect case in emaciated condition. 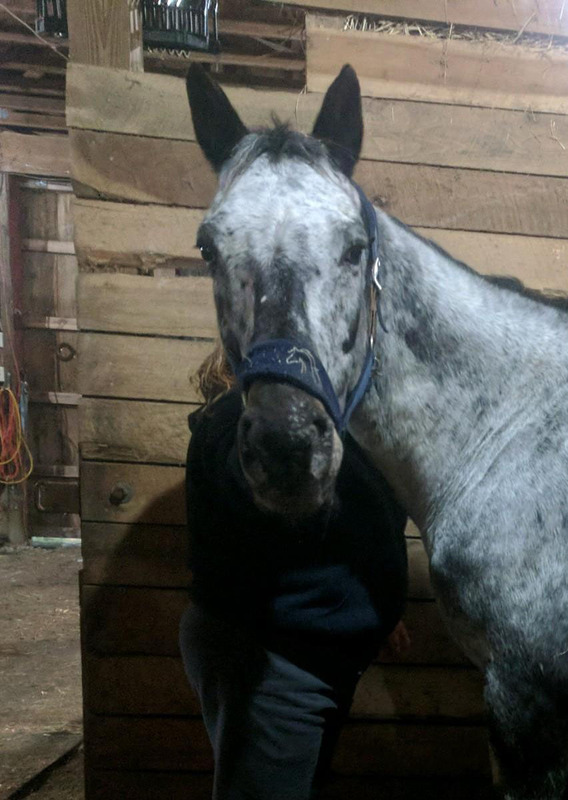 As reported from a previous owner, Blue was once a wonderful English Pleasure show horse. However, she does have some limitations now. She would be happiest in a low-level riding program, occasional riding, or as a pasture companion. This gal has excellent ground manners and will be suitable for a confident, advanced beginner under instruction and up. She gets along very well in a herd and is settled in nicely at a foster home. This once doted over mare was cast aside. Let’s find her a forever home where she will never have to worry about love again.